In order to provide useful online services we aim to provide tools that help library members improve the design of the projects they are working on. The justification for this emphasis relates to findings of reviews concerning the performance of projects. The current international aid budget is some 135 billion from government and international agencies and around $85 billion from the private sector. Over the last 25 years studies by the World Bank and others have revealed that of this $215 billion, around 35% will be wasted as a result of project failures. This is equivalent to around $75 billion each year. The main causes of project failures are inadequate design, oversight and quality control of the information used. This is where the Foundation can contribute to the reduction in these financial losses by helping improve project design. During 2015 the Foundation concentrated on developing the Open Quality Standards Initiative to develop due diligence procedures as a basic orientation for the design of better quality agricultural and other projects in the context of Agenda 2030 and the Sustainable Develoment Goals. During 2016 and 2017, SEEL (Systems Engineering Economics Lab) designed and implemented an online project cycle & portfolio management system. This was launched in January 2018 on a prototyping basis to undergo trials. In January 2019 feedback from the trials has given rise to a range of ideas to improve the system and currently the system is being pdated ready for its launch in Q3 as a fee-based Software as a Service (SaaS) provision under the name of Navatec.com to generate income for the Foundation. The initial target will be agricultural, rural development and natural resources projects. In this venture we have partnered with Strides Foundation who will provide an extension services for users of this system based on their extensive network of experts able to provide advice on all aspects of agricultural research and operations including training and mentoring for project team members. 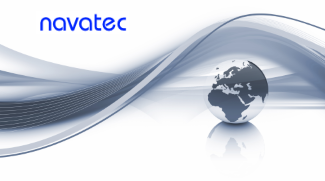 The current site can be found here: Navatec.com. The Strides website can be accessed here: Strides.info. Recent coverage of the launch of this service can be found here:agriculturalinnovation.org. Navatec System uses a due diligence design procedure (3DP) to guide the process and to ensure that all factors are taken into account. However, this is a horizontal SaaS. However, to improve the ability of users to conduct the appropriate analysis at each procedural step varies according to circumstances that create gaps and needs and which influence the number of factors that determine project results. It is therefore necesary to extend the range of utilities or analytical tools so to ensure a good quality of information is used during the design phase for any circustances. This has given rise to a need for a wide range of vertical analytical tools designed to help teams complete the analyses in an effective and correct manner. 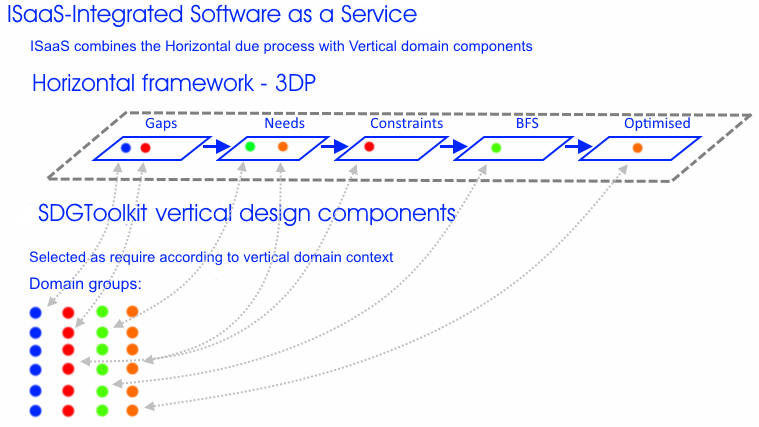 This combination of a horizontal SaaS with a vertical multi-tool SaaS will create an Integrated Software as a Service operaion or ISaaS. The Foundation decided to resolve this practical issue by combining the 3DP with Software as a Service Applications or an SDKToolkit library made up of specific analytical tool or simulators. We are therefore developing the SDGToolkit in preparation for a new supportive service to be launched through SDKToolkit.com. 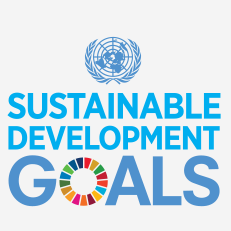 Practitioners consider this to be the best and most effective way of tackling the demands of transitioning project design to take into account the multiple vertical factors required to address the sometime complex requirements of the Sustainable Development Goals. The SDKToolkit should be launched in Q3, 2019. Under the current economic circustances the Foundation aims to provide support to organizations by providing direct benefits in terms of enhanced productivity of their activities to justify fee income for the Foundation. The online services have the potential of generating a high return on investment for users. Providing unparalleled quality of services at extremely competitive prices for support that will improve the productivity, effectiveness and economy of library members in their work. Through the Foundation income being based on delivering direct benefits to companies and organizations while supporting the Foundation's objectives.